Silicon of the Internet: The Diverse Books Tag! I'm super excited to take part in this tag created by Naz @ Read Diverse Books! I'm making this whole thing into a TBR pile enhancer. So none of these books are books I've read before (and yes, it's extremely painful to not shout about some of my favs!). My mission in this tag was to find an SFF book for every single challenge. And I wanted to see if I could do it without adding YA SFF (which is really doing amazing things now! Seriously I would find like 3 diverse YA books to every 1 adult book when I was hunting around). Adult SFF is my favorite genre. Doing this tag has really helped me diversify my TBR pile in ways I didn't realize it was lacking before! I decided to avoid short stories and novellas, and have as many #ownvoices authors as I could find. I think I succeeded pretty well! I found a lot of books that sound amazing. Overall I'm glad I decided to only list books I haven't read before--now my TBR is exploding! If you've read one or more of the books on this list, let me know what you thought! 1. Find a book starring a lesbian character. Here I found 2 awesome scifi books that I just couldn't pick between! The main characters of both just sound SO badass. Alana Quick is the best damned sky surgeon in Heliodor City, but repairing starship engines barely pays the bills. When the desperate crew of a cargo vessel stops by her shipyard looking for her spiritually advanced sister Nova, Alana stows away. Maybe her boldness will land her a long-term gig on the crew. But the Tangled Axon proves to be more than star-watching and plasma coils. The chief engineer thinks he's a wolf. The pilot fades in and out of existence. The captain is all blond hair, boots, and ego . . . and Alana can't keep her eyes off her. But there's little time for romance: Nova's in danger and someone will do anything--even destroying planets--to get their hands on her. 2. Find a book with a Muslim protagonist. Okay, this sounds AMAZING. Super different than a lot of fantasy I've read before! I would have loved to find more Islamic Scifi, but I found it difficult to find books with good rep. Would love some suggestions! Raseed bas Raseed, Adoulla’s young assistant, is a hidebound holy warrior whose prowess is matched only by his piety. But even as Raseed’s sword is tested by ghuls and manjackals, his soul is tested when he and Adoulla cross paths with the tribeswoman Zamia. When they learn that the murders and the Falcon Prince’s brewing revolution are connected, the companions must race against time—and struggle against their own misgivings—to save the life of a vicious despot. In so doing they discover a plot for the Throne of the Crescent Moon that threatens to turn Dhamsawaat, and the world itself, into a blood-soaked ruin. 3. Find a book set in Latin America. This category was difficult for me ... I wanted to stay away from magical realism, which is a rich and well-known genre, and see if I could find some pure SFF books. So I've got two books here, one a fantasy based on the Aztec Empire, and the second a collection of SFF short stories by Latin American writers! Opening a window onto a fascinating new world for English-speaking readers, this anthology offers popular and influential stories from over ten countries, chronologically ranging from 1862 to the present. Latin American and Spanish science fiction shares many thematic and stylistic elements with anglophone science fiction, but there are important differences: many downplay scientific plausibility, and others show the influence of the region's celebrated literary fantastic. In the 27 stories included in this anthology, a 16th-century conquistador is re-envisioned as a cosmonaut, Mexican factory workers receive pleasure-giving bio-implants, and warring bands of terrorists travel through time attempting to reverse the outcome of historical events. The introduction examines the ways the genre has developed in Latin America and Spain since the 1700s and studies science fiction as a means of defamiliarizing, and then critiquing, regional culture, history and politics--especially in times of censorship and political repression. The volume also includes a brief introduction to each story and its author, and an extensive bibliography of primary and secondary works. Cosmos Latinos is a critical contribution to Latin American, Spanish, popular culture and science fiction studies and will be stimulating reading for anyone who likes a good story. 4. Find a book about a person with a disability. I definitely didn't want to have a book here which "fixes" the protagonist's disability with magic/advanced tech/etc. And it's painfully difficult to find one where the protagonist isn't "fixed" in some way. I would love more recommendations for this category! This first title in a new trilogy, set in a world of legendary creatures, introduces the least of the lowly--a mute, scarred foundling, unaware of who she is or why she is wandering the dangerous landscape. Fortunately, an old female servant takes her in and protects her. As she grows, she finds friends in this strange land, and together, they set out to find her name, her past, and her future. 5. Find a Science-Fiction or Fantasy book with a POC protagonist. Oh hell yes, my favorite genre plus PoC protags! I couldn't pick (again), so here are two books I've been DYING to read! 6. Find a book set in (or about) any country in Africa. Nnedi Okorafor is one of my favorite authors. Her novel Lagoon was my introduction to Afrofuturism and non-Euro scifi. Here's one of her books I've been meaning to read for a while. I need to get my hands on Binti too! 7. Find a book written by an Indigenous or Native author. OK, this has to be one of the best gems I've found as part of this tag. What an original look at vampires! 8. Find a book set in South Asia (Afghanistan, India, Pakistan, Sri Lanka, etc.). Again, I had quite a bit of difficulty here because I was determined to find an #ownvoices author and stay far away from non-#ownvoices books which use South Asian religions and culture as an exotic backdrop, and don't really connect with the setting. This was infuriatingly difficult, though I did find a LOT of amazing short stories. The Simoqin Prophecies marks the debut of an assured new voice. Written with consummate ease and brimming with wit and allusion, it is at once classic SFF and subtle spoof, featuring scantily clad centauresses, flying carpets, pink trolls, belly dancers and homicidal rabbits. Monty Python meets the Ramayana, Alice in Wonderland meets The Lord of the Rings and Robin Hood meets The Arabian Nights in this novel-a breathtaking ride through a world peopled by different races and cultures from mythology and history. 9. Find a book with a biracial protagonist. A book I've been meaning to get to for a long time since I saw it explode on twitter! The female main character is half-Indian. Can't wait to read this! 10. Find a book starring a transgender character or about transgender issues. Again, significant difficulties! But here I've managed to find two fantasy books which feature trans* characters. The first one features an extremely diverse cast and sounds absolutely amazing. The second is a book I've seen around, but I didn't know it touched on trans* issues until I read some reviews. An interesting take on a Chosen One tale! The city of Parole is burning. Like Venice slips into the sea, Parole crumbles into fire. And trapped inside is an entire population of people with bizarre, beautiful and terrifying abilities - people who really should not have them. When Regan, an anxiety-ridden hitman with the peeling skin of a lizard meets Evelyn, singer, revolutionary, and unofficial superhero, it’s up to them to get to the heart of the mystery of Parole and its quarantined inhabitants. Along with a diverse group of superpowered friends, they will evade a deadly totalitarian police force, discover the truth about their entwining pasts, and together find the strength to survive a cataclysmic disaster. Chameleon Moon is the first in three books planned for the series. Book 1 sets up the explosive, sweeping story of Parole and the strange, wonderful people who call it home. Whew! What a great exercise! I tried to make as many of these #ownvoices as possible but if you've got a great suggestion please let me know. If you enjoyed this list, check out #DiverseBookBloggers on twitter, where all the fun started! Now if you'll excuse me, I'll just be over here adding hella books to my Goodreads. 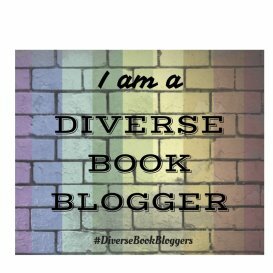 This is certainly the most unique and ambitious take on the Diverse Books Tag. What a wonderful list of Speculative Fiction. Thanks so much. I will bookmark this page for future reference. It will come in handy for the SFF book club. Proud that only 3 of these books aren't already on my radar. *Adds Cosmos Latinos, The Simoqin Prophecies and Chameleon Moon to the TBR. * I adored Servant of the Underworld, The Fifth Season, Who Fears Death, The Bone Doll's Twin and Sorcerer to the Crown.